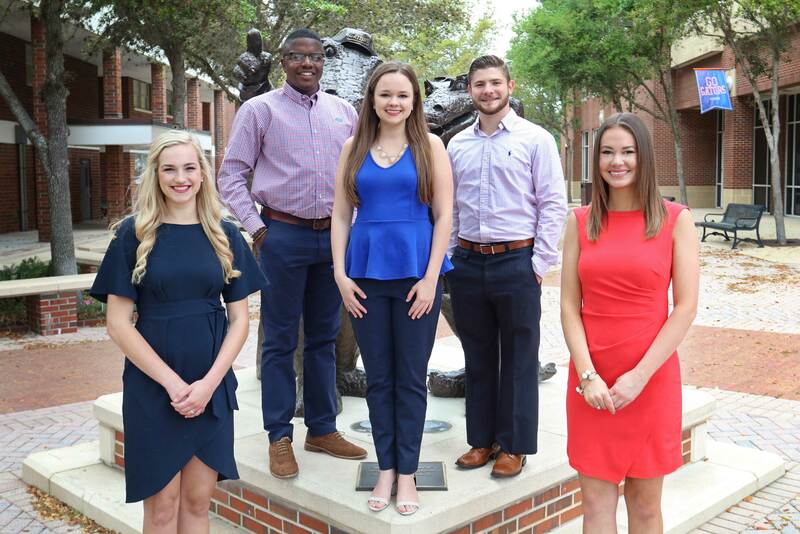 Each semester, The UF Alumni Association and UF Honors Program select candidates for the Outstanding Leader and Scholars Awards. Applications should be submitted by undergraduate seniors who have applied for graduation that semester. Recipients are featured in the commencement program and graduation ceremony processional. They are introduced and recognized by the UFAA president and are invited to sit on the platform as distinguished guests and representatives of your college during the program. More details on both awards award can be found in each application. Leadership Packets can be sent via email to the Alumni Association at ufalum@ufalumni.ufl.edu.